"I choose to focus on bringing something useful to the humanity with the help of the revolutionary Steem blockchain. 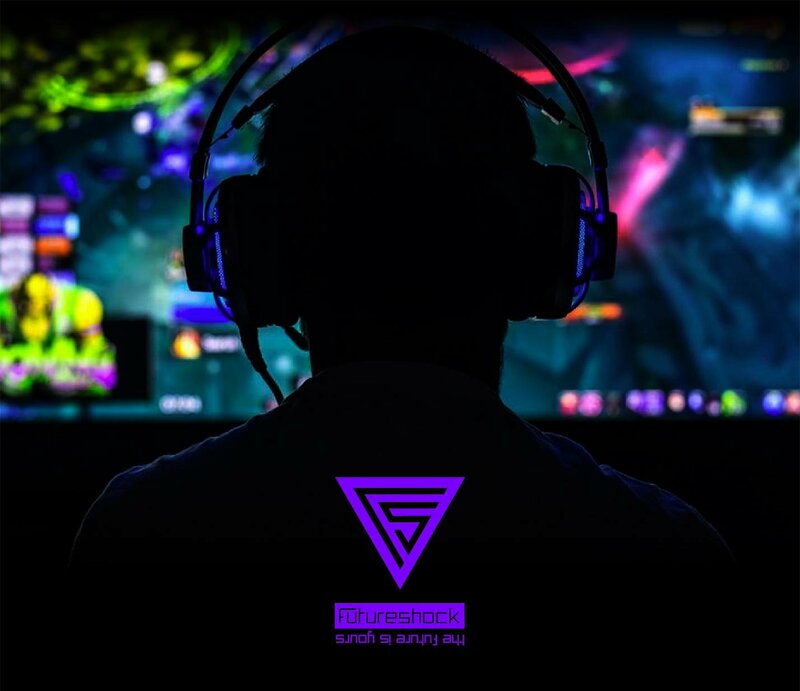 Having a team with many people around the world is the best side of FutureShock which includes all the people behind Fundition and Ongame that share their great experiences, skills, and knowledge. I want to say that I'm really grateful to my team and to all my advisors starting by @ekitcho, for their trust and their support. Probably nobody else would do everything that they did without expecting something in return so... what to say except that I love you all! I would also say thanks to the whole Steemit team, they are all brilliant people and having a delegation of 1M SP was something unexpected for us. I promised myself that if I would someday have such a privilege I would do even more and better than others and I will do my best to keep it that way. Expect to see even more! Finally there are many other people who helped us in various ways. They probably don't know what I felt when they did it but they can be sure that they will always be in my heart. 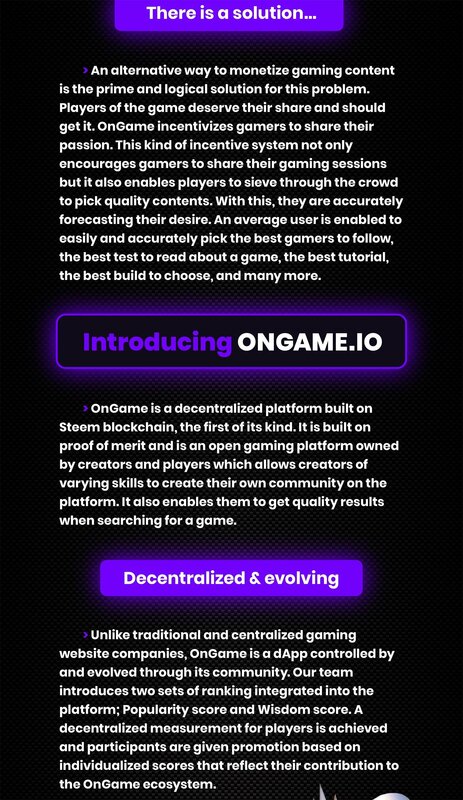 I would like to dedicate OnGame to all people that make steem better day after day." Great idea. I wish you luck ! @futureshock @hightouch this is awesome. Amazing work on the site it looks really good. I tried to watch a few streams and it didn't seem to work as of writing this. Are there plans for iOS/ Android applications? Looking forward to doing what I can to support this project. Hi @thejohalfiles, thanks for your feedback. Since our team and myself are at steemfest I can't give you any clue about the stream that you tried to watch, but if people use OBS I'm sure that there is no problem in the streaming functionality. Since the recording isn't activated ATM an error can occur if the stream is over. But this is our 0.1 and we will work to remove the beta mention fast as possible. In that way I really appreciate your offer to support us and will be happy to talk about it. Hope to meet you at #steemfest, this sounds awesome. If you can, head on over to the balcony stage at 10:30 this morn to hear me speak. The world of gaming will never be the same after this. Excited to see the future. Congratulations! 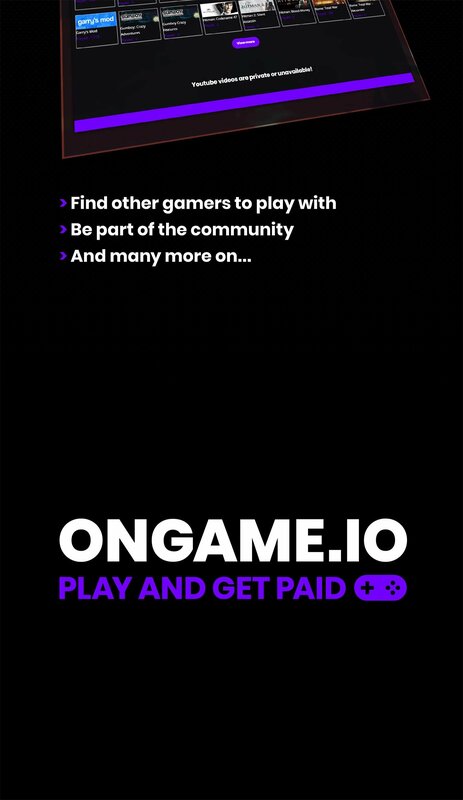 Really exciting stuff, this will be a great way for gamers to monetize their activity and love for gaming and their favorite games. Looks really cool. Do you have a white paper or something to know more about your project? That looks rather amazing! It would be nice to know if a game review had any impact on someone buying it let alone getting a small cut of the sale. Looking forward to seeing this grow. 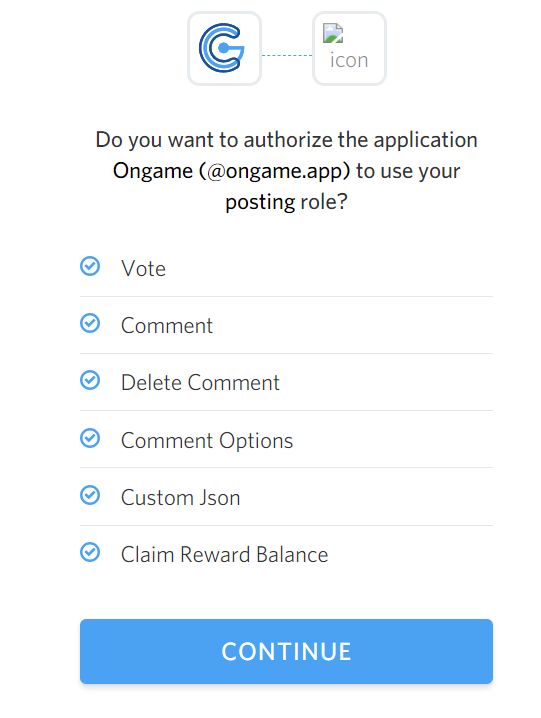 Why does OnGame require all these permissions? OnGame use Steemconnect and never store any key somewhere. Your steemconnect autorisation token is stored only in your device for a week. After what you have to reconnect to continue to interact on the platform. Yo, we will open our support soon. So keep listing bugs and don't hesitate to contact us wnext week. Thank you very much. Could you work on adding Keychain support? Keychain is more difficult to secure so I m not sure if we will integrate it. Edit : Nvm we will integrate Keychain for sure! This is just how posting role works, they don't get to pick and choose. To get any of those permissions they have to get the whole package. Now this is really cool!!! I’m still a bit curious to see if the model works out, but the idea itself is amazing! LOVE LOVE LOVE THIS IDEA!!!!!!!!!!!!!! Just started a live stream and it linked directly to my twitch! This awesome I am loving this new community gaming resource. I do see a problem with playback when I was live though on the "ongame" wesbsite. It said my media resource wasn't valid but I use xsplit so it should be good. Still really excited for this project! Hi, sorry for the late answer. I suggest you to use OBS untill I take a deeper look to xsplit. Anyway you can start a stream and publish it only if the preview is already working. So you will avoid post that link to a broken stream or anything else. Got it, there is a small bug that force you to use video instead of Livestream if you are not streaming with ongame directly. It will be fixed soon as I m back. It is now fixed and we will announce it in our next update post! We will fix this weird authorization request soon, it was made only for test purposes. Thanks. So wait... you get 1 game a week, with the value of the game being "at less" $120 a month? I'm not sure that even makes sense... Does that mean 4 games of your choosing per month that equate to a value of at least $120 per month? Anyone care to chime in one that? Depending on your premium membership you get 1 games per week for a montly amount defined by your premium category. Nobody can give you 120$ of games each week for an investment of 109$, but we may need to write it more clearly. Example : I choose the gold category membership I will get at least for 80$ of games in a month. It can be 1 game for 50$, one other for 15$, one other for 15$ and maybe one other for 1-3-5$. I gave you this example but it can be different ofc and you can get 4 games that cost 20$. The total value will allways exceed the defined amount of your membership even if its only 1 cents. 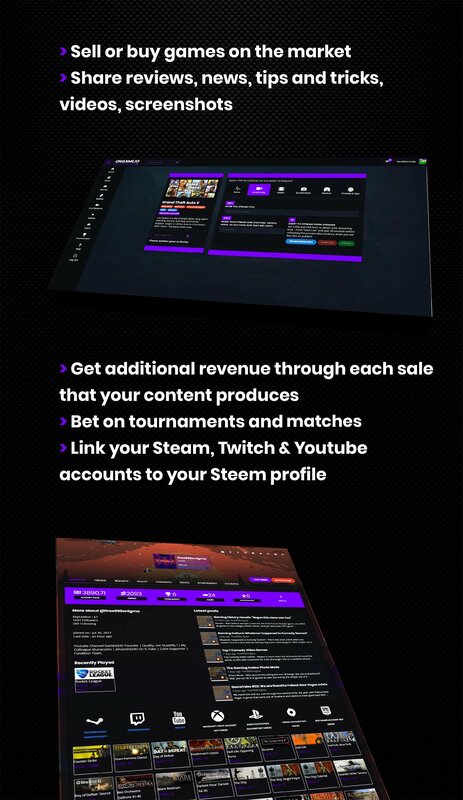 One of the best side of the premium; you can already link your steam account on ongame, and in the future we will deliver you games depending on your existent collection, so you will avoid any games in double. So do we get to pick the games or do you just send out random keys? If it is just random keys then this simply is not worth it. Especially with the potential to get duplicates of games we already own for the time being. As much as I love Humble Bundle this is the same reason I will never recommend their monthly bundle, unless you really want the instant unlock games. In humbles case you at least know 2 of the games you are buying. In your case it don't even sound like that is the case. Agree - random games are not worth it, I may receive games I dont want to play and then they have 0 value for me. It's random but we never send double keys to our users. Furthermore in a short time we will improve our shop to include your steam game list (if you choose to link your steam account), by that way you will be sure to obtain an unique game each week. Edit: some of games which are available for the current month are showed under the membership buttons. 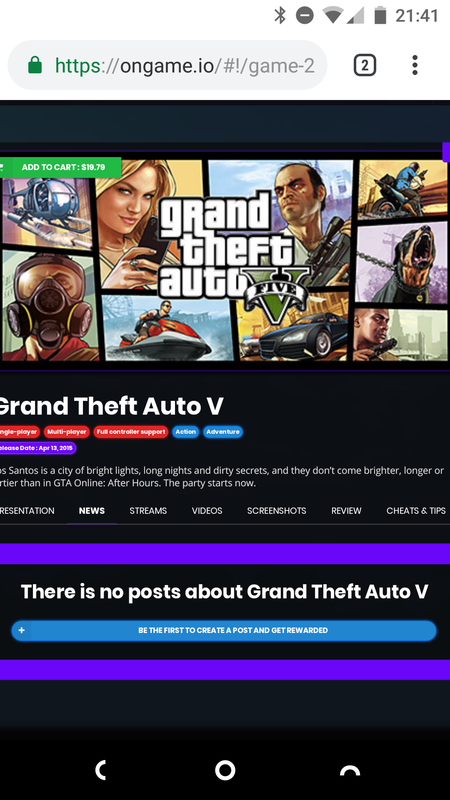 I can write game reviews on the website and get paid in steem? Sweet! is this also a streaming platform? And games shop? And user generated reviews/tips/tricks platform? 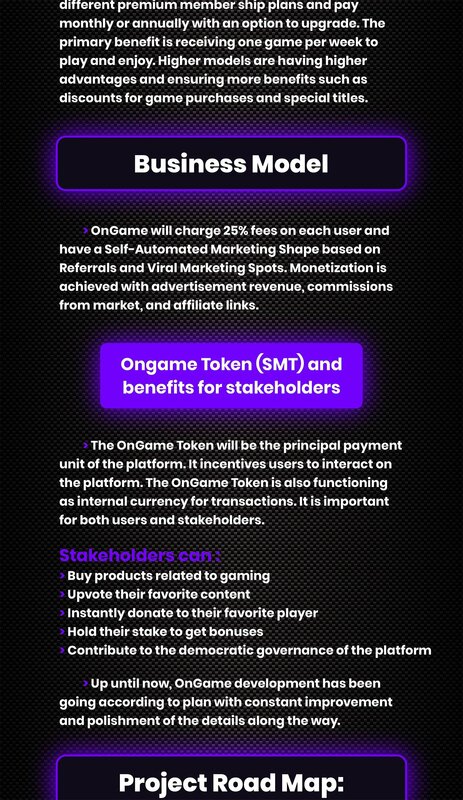 All in one place + crypto monetization for content creators? I mean, it this the real life or fanta see? are there any investment options where I can delegate SP for daily revenue? There is many many functionalities as you noticed. We will create different cheaper offers soon, since a steemian can have different expectations than a new member we will try to make cheaper and more profitable the membership for everyone. For the investment possibility we will release more news about it. Very nice concept, i was looking for something like that. Because im uploading many World of Warcraft related content, and i created the first video review post in Ongame about Warcraft. So i looked around on which games you are selling and i got a question. Can you also put game cards beside the games? Because World of Warcraft needs also a game card to play the game, having the game alone is not enough, it's needed to paid for game time. That saying it would be very nice for new and old players if they can buy world of Warcraft game cards with Steemdollars. What do you think? Can you make that possible in Ongame? I can't say much more about it but giving a way to sell any in-game items may appear a day in the market. Since we already use an escrow system for payments I'm sure that can be interesting for many sellers/buyers. 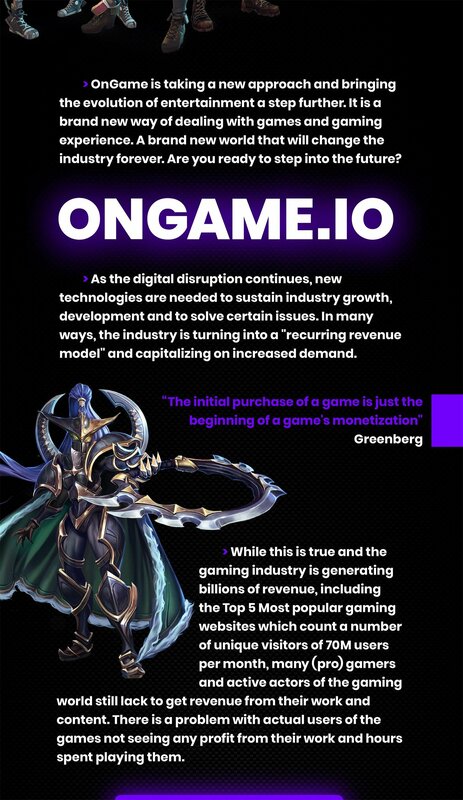 It sure is interesting, but it would be even better if we can pay World of Warcraft game cards in your sire and then pay with Steem tokens. That would be a game changer for the warcraft fans on Steemit! but il keep a eye on your site! 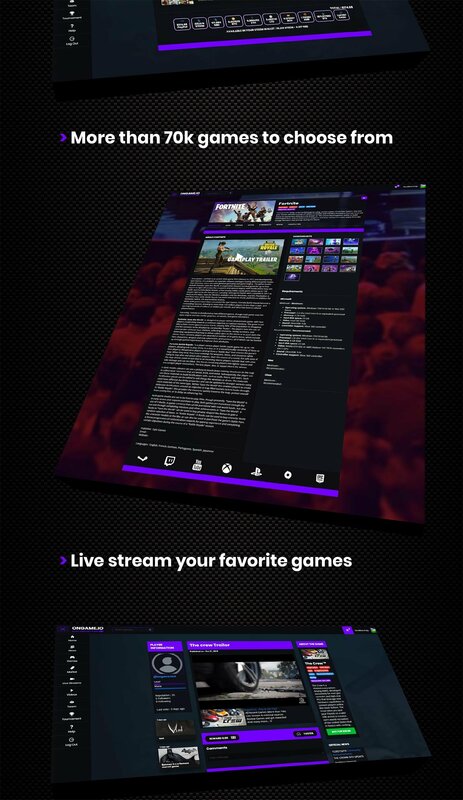 How you can stream here, or add video ? This seems rather unintuitive. My first reaction when I tried sharing/uploading a video was to click on my profile icon. I didn't see anything saying "upload video" or "go live", so I clicked the tabs on the left and again nothing. Clicking on Videos for example I can only see already uploaded videos, but no "share video" button. After that I gave up thinking it was a missing feature or smth. I would never have figured out that I needed to go to a game's page first and then pick videos for uploads or streams for streaming. Thank you very much for your feedback. The v0.2 of ongame will fix many ui/ux issues(but not only that ofc). Do not hesitate if you have any suggestions that can be pertinent. WOW !!! AMAZING !! Congratulations !! Haha merci poto et encore c'est vraiment que le début. Great UI and really promising idea. This really is quite impressive, well done! Absolutely exciting news! 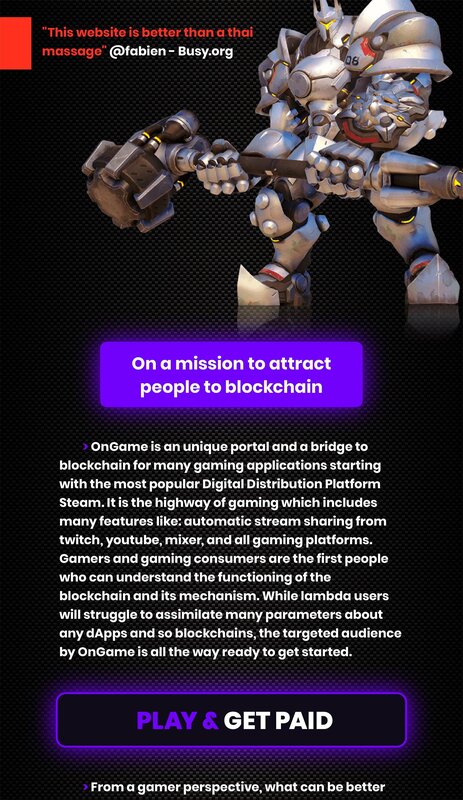 This is great for gaming and for steem, looking forward to more awesome updates. All the best and congrats! You got a 57.84% upvote from @upmewhale courtesy of @hightouch! I've just spent most of my liquid crypto on Steem Monsters and now this.... Interesting project, I'll definitely keep my eye on this. I hope it works well for everyone, also take care of that delegated Steem, we don't want another Dlive to happen. 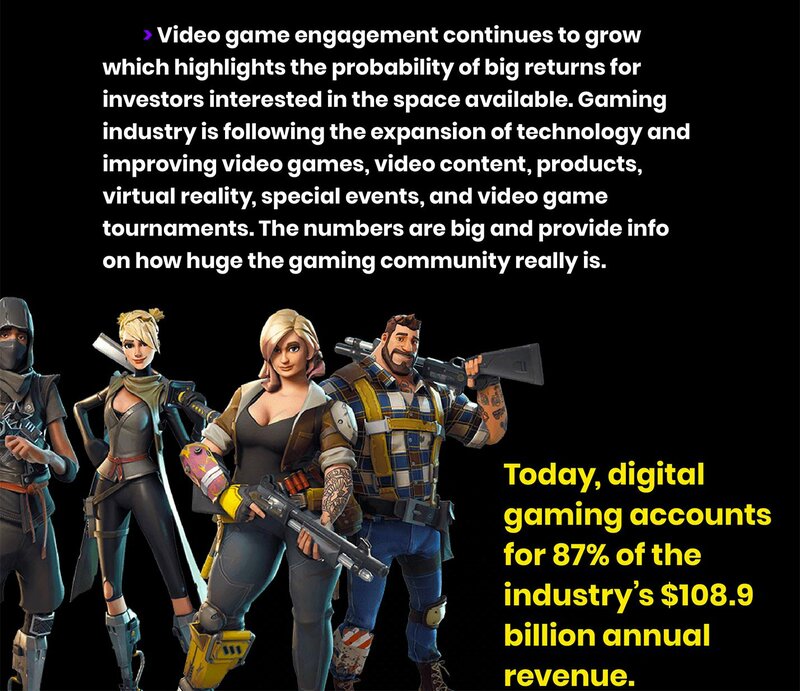 Gaming industry is getting bigger and bigger by the day. I even saw that GTA V grossed double the amount of the most successful movie series of all time. You got a 36.16% upvote from @emperorofnaps courtesy of @johnz14! 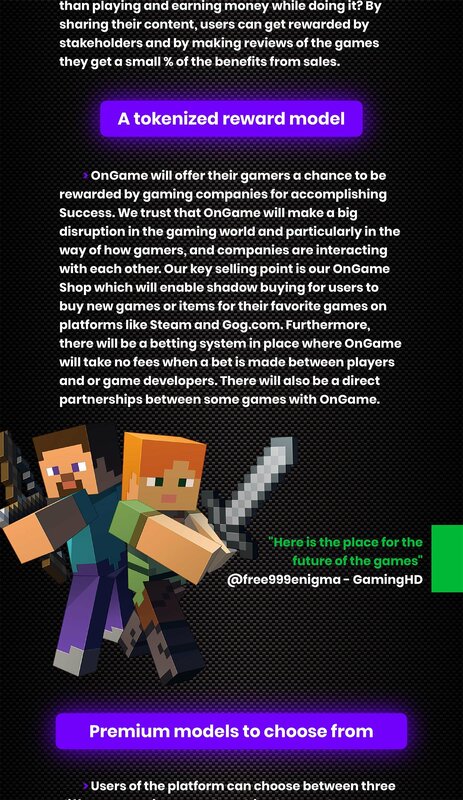 I just checked out your site Ongame.io and it really looks very good. The user interface is appealing, easy to navigate and provides great overview of all the features of the plattform. I had no problem to find interesting things. The subscription options look also very interesting...for how long do I have to pay the monthly fees? Can I only purchase one month for example? And do you also take SP-delegations? And what are the benefits of it? Thanks for your great work and this cool project! Thank you for your feedback @masterthematrix. We still have many work to do but I really appreciate that you like the platform. For fees atl you pay them monthly, but be aware that the premium will start only in December. Ofc you can choose to pay only one time to see if it's worth it not. For the delegation/revenue model dedicated to investors you will have to wait few weeks. We prepare something great and I hope that will be profitable to everyone. That sounds awesome, thanks for the info! If you wanna know about a real game check out my latest post. Its a really exclusive scoop of whats going on in the real high tex gaming industry. As a game designer I can't tell you how excited I am for this! This project looks quite interesting. I think something interesting you might consider adding as well would be a market-place for game modifications. I'm in the modding business for quite a while and, unfortunately, there is no real way to monetize mods besides some things as curse or adfly and patreon. Thanks for your impression. As you describe it, it seems like a real challenge to get paid for modding games... While mods adds many longevity or even playability to games. Let keep in touch and see if we can implement that on ongame in the future. You got a 44.47% upvote from @booster courtesy of @hightouch! Idea is promising, but navigating the site is too laggy. Wow this looks like an amazing idea!!! I will be keeping an eye on this for sure!!! But we don't have delegation for ongame ofc. This post has received a 48.74 % upvote from @boomerang. Kinda cool. It's just that it needs permission. When’s it coming out on @Wii ? Hi @ewartmalick, we are working to obtain all authorization from Sony, Nintendo and other missing companies. But I can't give you any date of release for this. Is streaming available yet? I couldn't figure out how to do that yet and the help button doesn't seem to work. Totally get its new but wanted to make sure it wasn't just me. Thanks! So if I wanted to just share some of my fun Overwatch highlights or something like this, is there a proper section for it? Would it be Videos? If your content is a video I suggest you to use 'video'. If it is mixed you can choose 'news'. This is definitely what gamers need right now. It will allow us to truly vote with our wallets and support games and content creators that deserve to be supported for the hard work they do. Will be watching the project closely as it develops! Have some plans for my own content too! This is amazing . I love playing games like Fortnite and Dota. I'm definitely gonna check this out. Thanks for sharing. 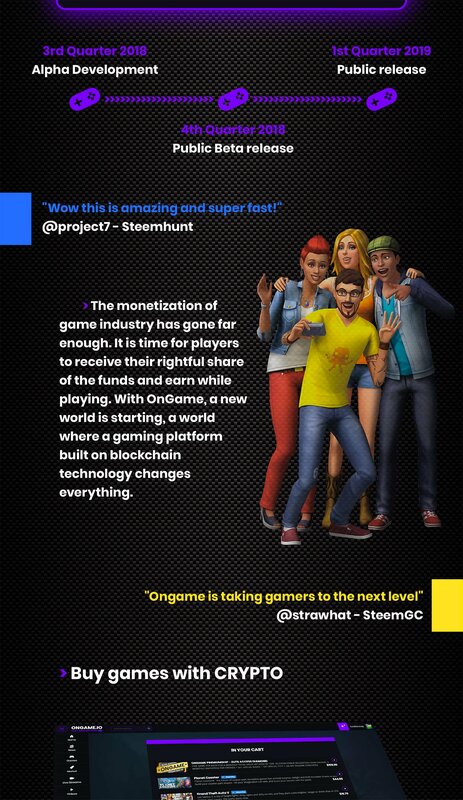 This is a really great project, its going to really expand the Steem family and bring SMTs some much needed PR! I just paid for a game but am not sure what to do next. Am I supposed to wait for a bit or can I find the game I bought somewhere ? Edit: it's been resolved, thanks.